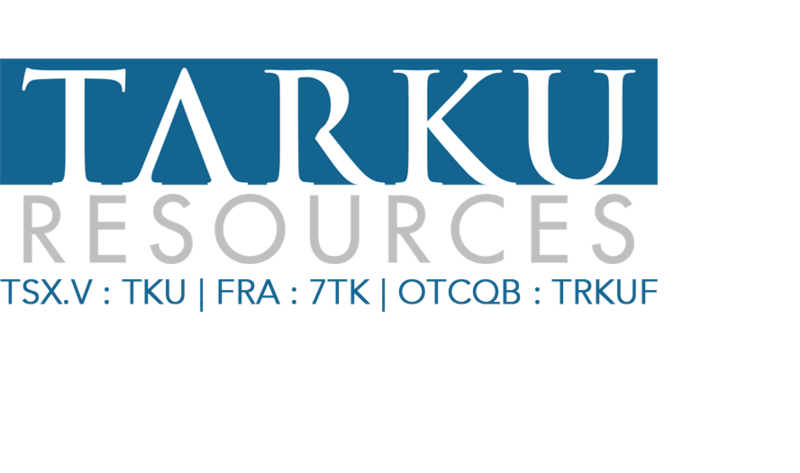 Cranbrook, BC, June 3, 2015: Tarku Resources Ltd. (TSX-V: TKU)("Tarku") reports that it has closed the first tranche of a private placement announced April 8, 2015. A total of 671,667 flow-through units (the "FT Units") at a price of $0.09 per FT Unit have been issued for gross proceeds of $60,450.00 and a total of 1,987,500 non flow-through units (the “NFT Units”) at a price of $0.08 per NFT Unit have been issued for gross proceeds of $159,000.00 (the "Offering"). Each NFT Unit will consist of one common share in the capital of the Company and one common share purchase warrant. Each purchase warrant will be exercisable into one common share at $.20 cents for a period of 24 months from the closing of the financing. Each FT unit will consist of one common share issued on a flow-through basis within the meaning of the Income Tax Act (Canada) and one purchase warrant exercisable at $.20 cents into one common share of the Company for a period of 24 months from the closing of the financing. Insiders subscribed for an aggregate of $46,000 or 556,250 FT and NFT Units. All securities issued in connection with the Offering will be subject to a four month hold period in accordance with applicable Canadian securities laws. Net proceeds of the private placements will be used to continue the Company’s exploration programs on its Chateau Fort Property in Quebec and for general working capital purposes. The Offering remains subject to final acceptance by the TSX Venture Exchange.